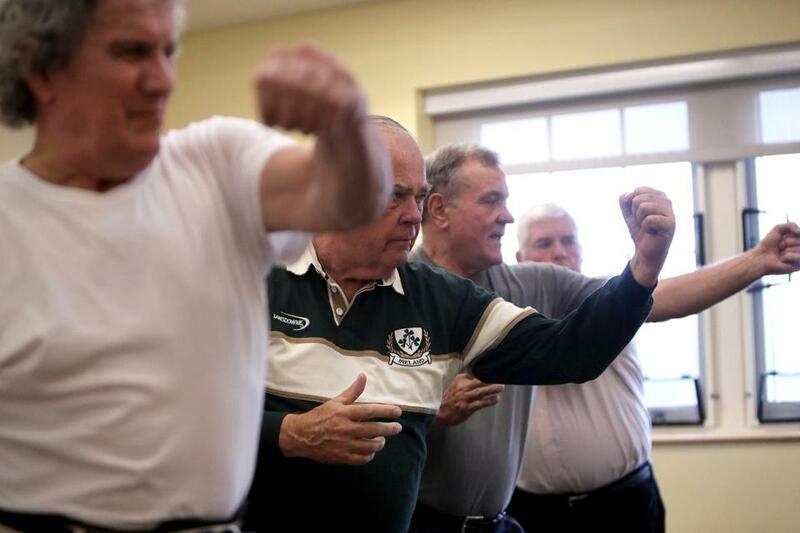 Plymouth residents Paul MacDonald, Bruce Goodwin, Stuart Hudson, and John Justice took part in Uechi-Ryu Karate class at the town’s Center for Active Living. That’s fine with Beth Webber, 61, who last month started visiting Plymouth’s newly renamed Center for Active Living, which was simply called the Senior Center when it opened in 2012. After sweating through a cardio-plus-weights dance class on a recent morning with two dozen others ranging in age from their 50s to 80s, Webber said her initial reservations about coming to the center had been put to rest. As America grays, community run senior centers are in transition — and the changes go far beyond a mere name change to evoke robust living. 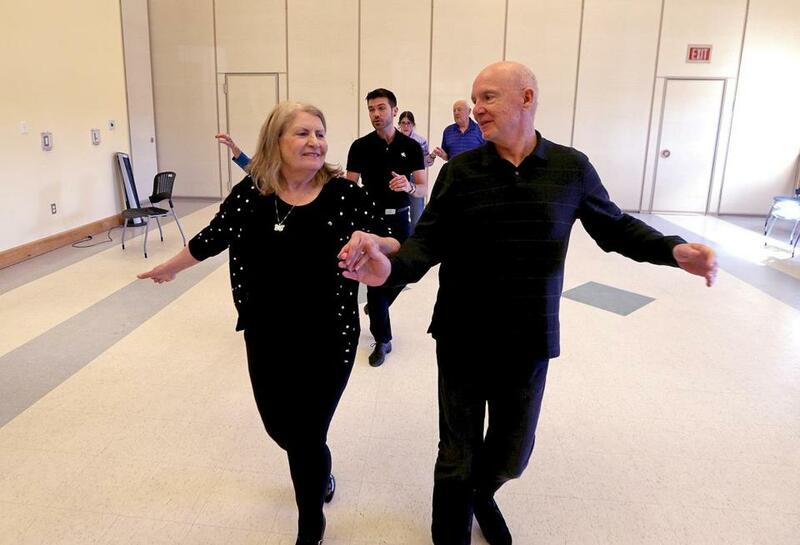 Many of the roughly 225 municipal senior centers in Massachusetts are adding more “intergenerational” activities — from social media lessons taught by millennials to recitals by elementary-school musicians. Some are organizing marshland hikes and canoe trips or offering investment classes to draw baby boomers who have little interest in playing cards or bingo for hours on end. Such efforts are still in their early stages but are likely to accelerate as the share of older residents grows. More than 1.6 million Massachusetts residents — 21 percent of the total population — are over 60, according to data from the University of Massachusetts Donahue Institute. By 2030, that demographic is projected to top 2 million, about 28 percent of the state’s population. Because the changes are bubbling up locally rather than being imposed by the state, they vary widely among cities and towns. Some are aggressively reinventing their aging programs while others, at least for now, continue to emphasize traditional programs ranging from adult day care and Meals on Wheels to health clinics and rides to medical appointments. There’s also a shift away from passive meeting places for eating and board games to more vibrant venues for lectures and the arts. It’s all the better if new senior centers can be located near schools, and high school or middle school drama students can rehearse their productions at the center. Plymouth’s center, for example, is on the campus of the five-year-old Plymouth North High School. While many already refer to Plymouth’s senior center as the Center for Active Living, the name change must be formally adopted by Town Meeting in April. But it’s likely to face little opposition, according to a town survey showing that most residents favor the new name. Construction of the 18,000-square-foot center off Nook Road followed nearly a decade of lobbying and political wrangling. The nearly $10 million building project ultimately was funded as part of a $199 million package town voters approved in 2006 that covered the cost of two new schools, including Plymouth North, in addition to the center. The plan was backed by a coalition of parents of school-age children, and older residents with grown children who might have been less inclined to pay for schools unless they could also benefit from the spending. Residents over age 60 now make up about one-quarter of Plymouth’s population of nearly 60,000, said Jennifer Young, the town’s director of elder affairs. And though they have different needs and abilities, the desire to stay active is a common denominator. Dance Instructor J Michael Winward, of "Steps In Time," center rear, led a "Naughty Nookers" dance class at Plymouth senior center. A similar model of bundling appropriations for a senior center and a school was used earlier in the decade in Natick, where roughly one-third of residents are at least 60 years old. In 2010, voters there approved two, 20-year bond projects that raised taxes a total of $55.8 million to finance a senior center and high school. Natick has stopped short of ditching the word senior, but did rechristen the new facility as the Natick-Community Senior Center. In New Bedford, where more than one in five residents are over age 60, there are three senior centers across the city, including one geared to Portugese speakers who gather to play dominos and board games. It also runs a social day program — adult day care for older residents with mild forms of dementia. Lee led a two-year initiative to get New Bedford certified by the AARP and the World Health Organization as one of the state’s first “age-friendly” communities, drawing up a comprehensive plan that encompassed everything from walkable streets to programs aimed at combating depression. Many of the services offered in New Bedford are specific to a community where some have fallen on hard times. Boxes of nonperishable food, such as canned soups and vegetables, donated by the Greater Boston Food Bank, are stacked in a back room at the Buttonwood center. “We try to make sure what we offer is what people are looking for,” Lee said. What some are looking for in more affluent Plymouth are instructions in Qi Gong — a holistic system of coordinated body posture, breathing, and meditation — and pickleball, a hybrid paddle sport imported from the West Coast that incorporates elements of tennis, ping pong, and badminton. The active living center in Plymouth is “a hidden gem,” said Terry Mucci, 72, who gravitated there after retiring last year as a logistics manager for a women’s apparel company.